When it comes to hair extensions and extension types, there are so many different terms that can be confusing. Some of them are stick tip, I tip, micro ring, and nano ring hair extensions. 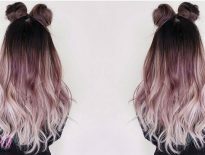 All of those are hair extensions types that have become very popular lately and are one of the best hair extension methods. In this article, you will find out everything you need to know about these types of hair extensions – what is difference between them, what is the installation process, are they safe, how to take them out, and what are the pros and cons of these methods. What are Stick Tip (I Tip) and Nano / Micro Ring Hair Extensions? First of all, micro ring, nano ring, stick tip and I tip are basically the same types of hair extensions since they use the same method of application. These types of extensions don’t use glue or clips for installation, but a micro or nano ring that keeps the extensions in place. Stick tip and I tip extensions are basically inserted into micro or nano rings. So these terms are used interchangeably and they mean pretty much the same thing. The only method that sounds similar but is different is micro loop hair extensions. Micro loop method uses a small loop to fit the hair and some people say the quality of the fitting can be much lower than stick tip, I tip and micro ring which is considered to be more professional. These types of hair extensions are installed by taking a small section of the hair and threading a micro or nano ring onto the hair using a special needle. Then the hair is secured at the roots of the hair using pliers that press the ring shut. The best thing about this method is that there is no glue involved which often damages the hair. The removal is also pretty simple, the rings are squeezed in the opposite direction with the pliers and the hair extensions easily come off. The simple removal is also one of the reasons why this method is so popular. Micro and nano ring extensions are also very similar and basically the same with only one difference – the size of the ring. Nano ring is the same method as micro ring, but nano ring is a newer, and you could say an improved method. Since nano ring method uses a much smaller ring, those extensions tend to be much more comfortable. Also, nano rings are recommended for women with thinner hair because using micro rings might result in the rings being visible because of their size. One downside of the nano rings are that they have to be taken off in order to be refitted while micro rings are simply moved up the hair and re-positioned. 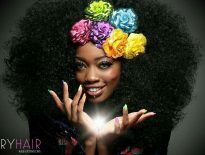 Micro or nano rings won’t damage your hair because no glue is used in this method. Some people are sensitive to the glue or heat that is needed for other methods which can results in an itchy or painful scalp. Also, when the extensions are removed, there is absolutely no hair loss because the extensions come right off after the rings is opened. If they are installed correctly, micro and nano rings are extremely secure and that is one of the biggest pros for this method. There is basically no way that they will come off and they last for a very long time while clip ins, for example, have a much higher chance of coming loose. When you have micro or nano rings installed, you hair can move much more freely because the extensions are installed using very small pieces of the hair. That results in a much more natural look while some other hair extension types like clip in and flip don’t have that natural movement since they come in big wefts of hair. 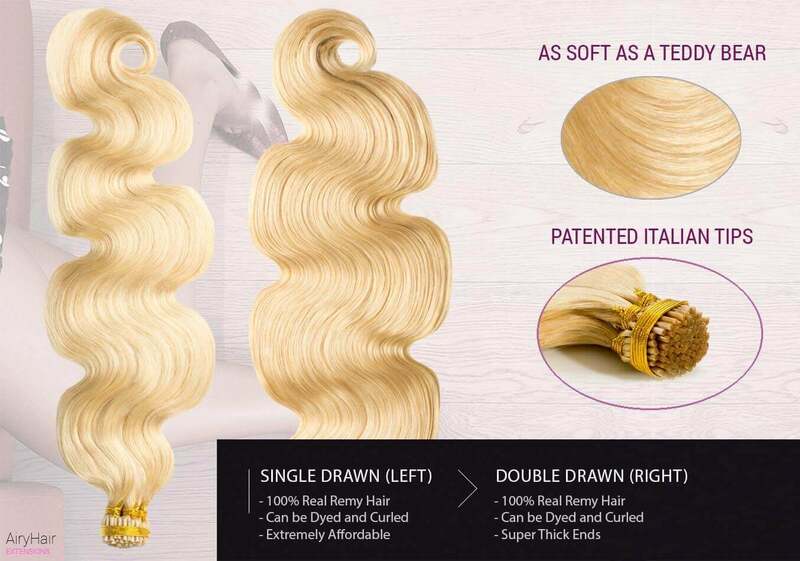 Micro and nano ring hair extensions may be a bit uncomfortable at first, especially when you’re sleeping because the rings might press into your head. Also, if they are fitted too tight, you might feel uncomfortable because of the tightness, but that usually goes away in a couple of days. If you have thin hair, micro loops could be visible, especially if you wear your hair in a ponytail, but nano rings are the recommended method for thin hair because of the smaller ring size. Thanks for this clarification! I’m purchasing some micro loops for my new hairdresser to continue pulling up my extensions. Does the size of the micro loop matter when I place my order? I’m not sure what size my original hairdresser put in my hair. Could going too small or too big prevent them from securing in place?Or is it just preference to prevent visibility? It should not matter! :) You can just go with the default size,.